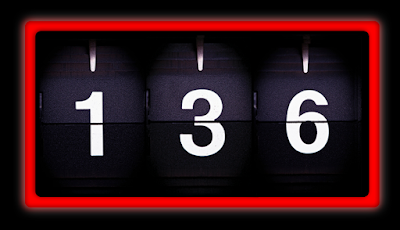 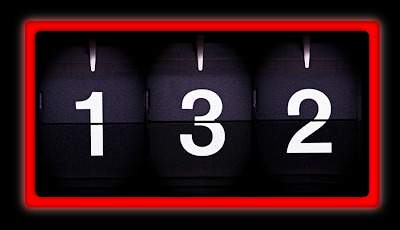 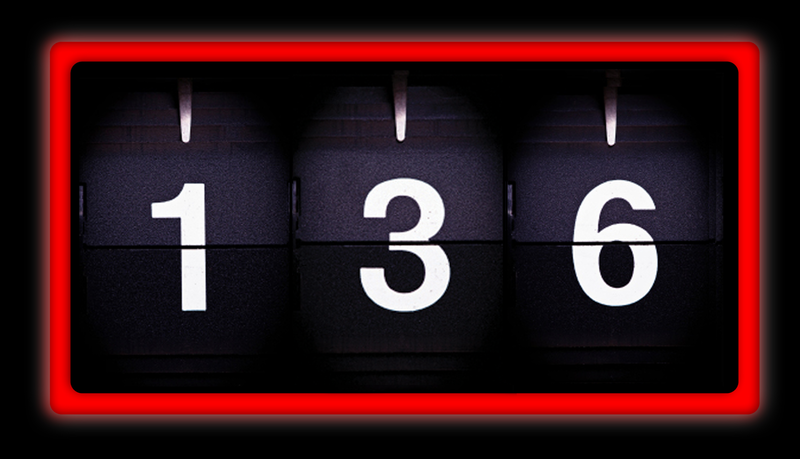 Jump over to flickr by clicking on the photos above and below to see more pictures of the new Clark Acme! Acme is in for some stiff competition in Clark! 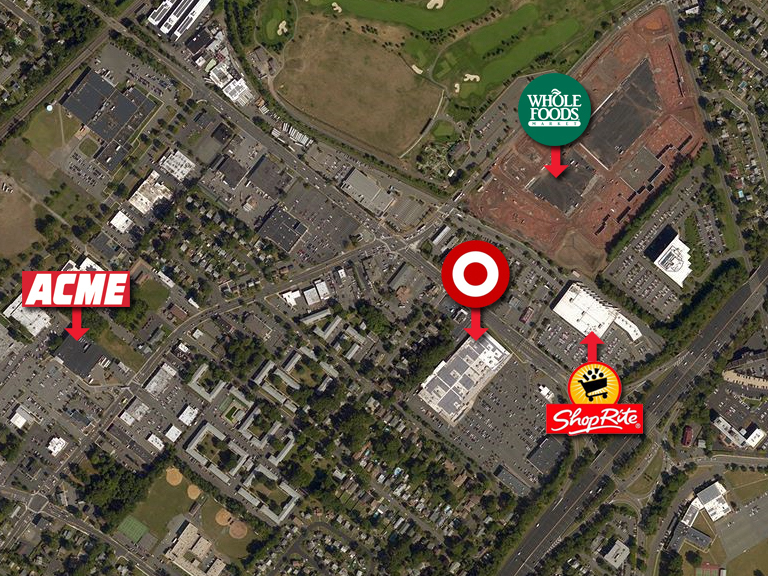 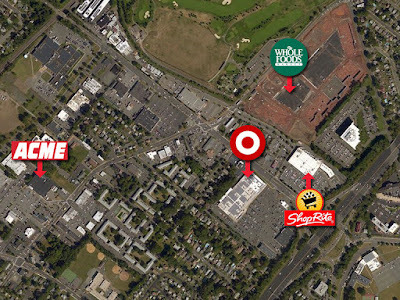 ShopRite and Target very close by and a Whole Foods, which is shown under construction here, is now open. 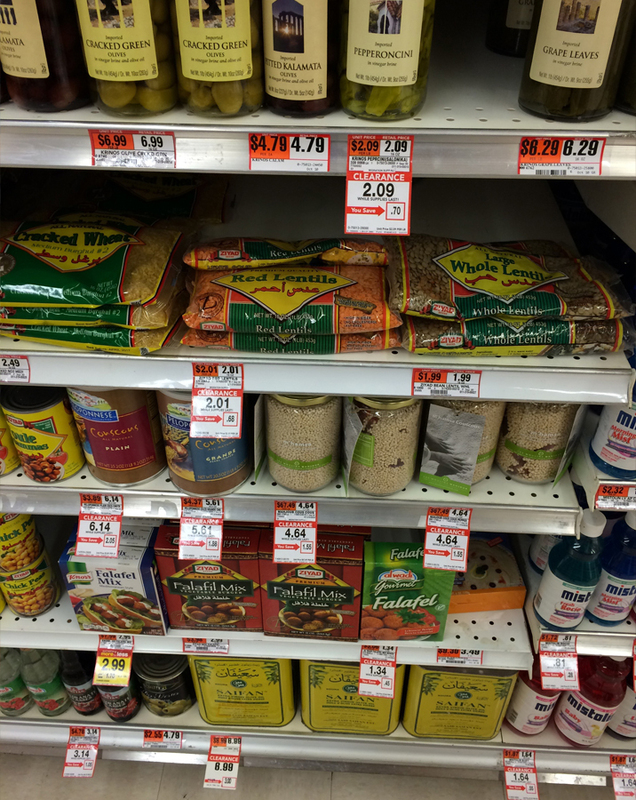 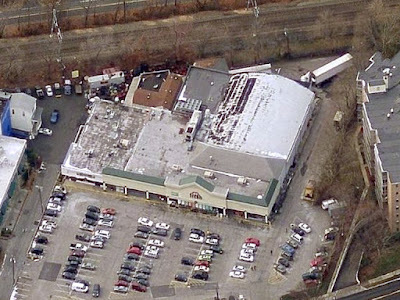 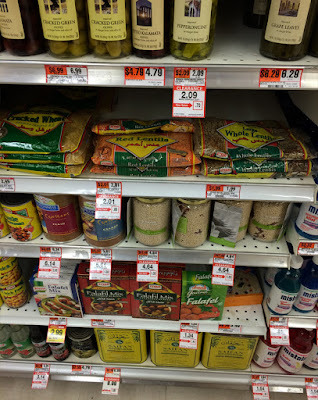 Photos courtesy of Andew K.
This classic A&P in Clinton, New Jersey is currently holding its liquidation sales. To check out an article with details and a nice selection of photos, please click here. 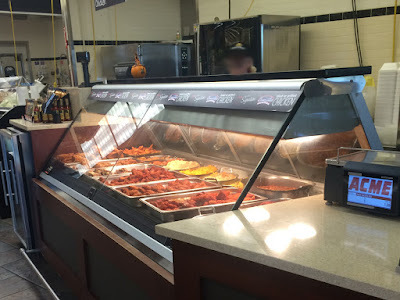 Thanks to Andrew 7239 for letting us know! 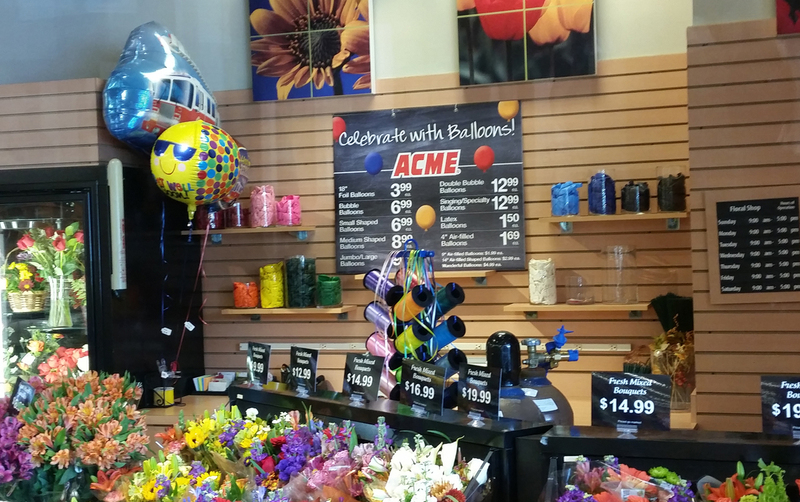 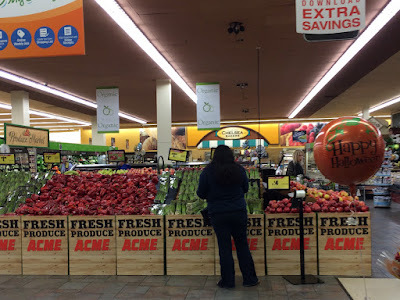 A quick tour of the Edgewater Acme which has been open for a few weeks now. 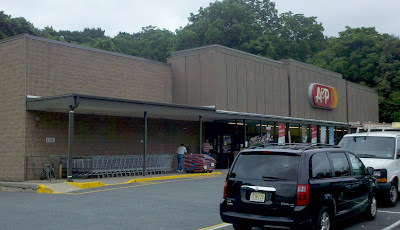 I've been shopping at this store for well over a decade and have watched it go through 2 full remodels. 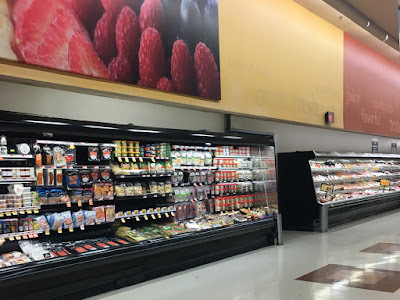 I've also seen the business go down here significantly between the poor leadership of A&P and the Target across the parking lot getting the PFresh remodel. 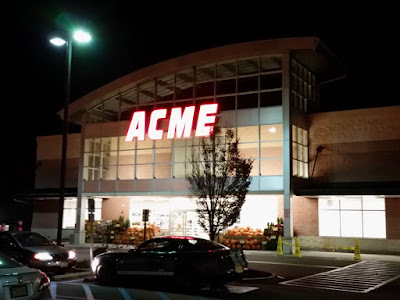 Things appear to be turning around since Acme has taken over. 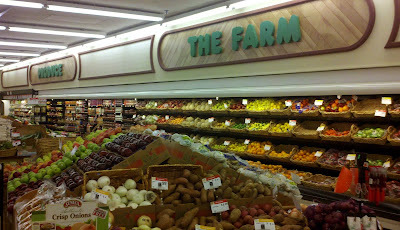 The store is busier than it's been in years right up to my last visit on Saturday. 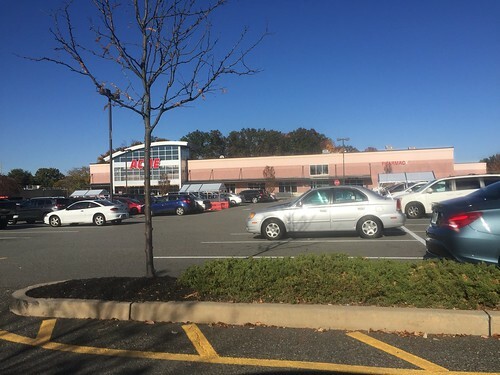 "Pathmark" has been removed from some of the signage around the store and has not been replaced with "ACME". 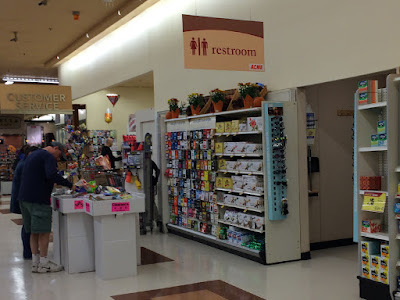 Interesting logo on the floral signage. 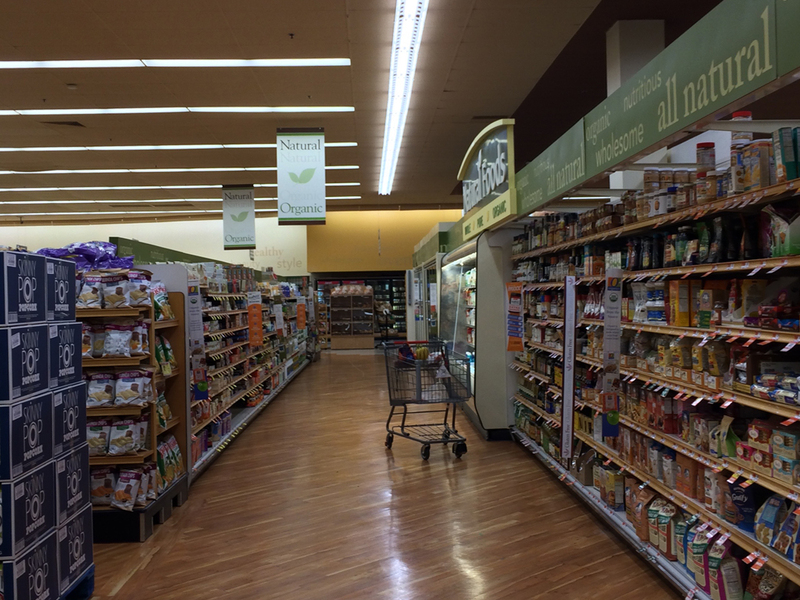 Spot lights that used to line the first aisle of the heath food department have been replaced. 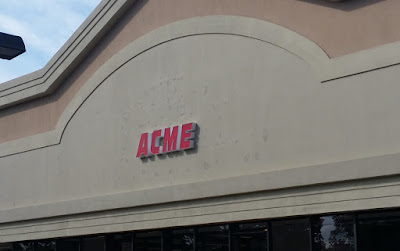 That restrooms are now brought to you by ACME. "SAVE" replaced with "ACME Local" stickers. 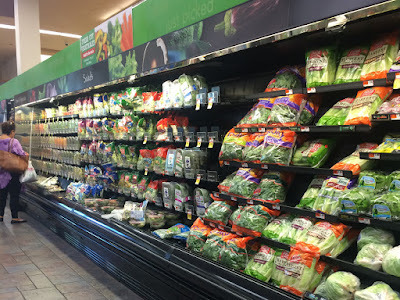 Huge difference in Produce with the new lighting. 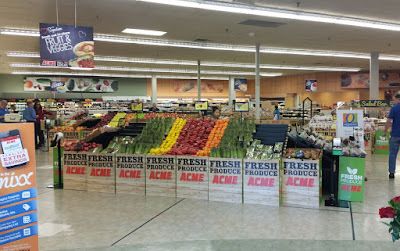 Acme has painted all cases black which looks pariculary good with the other colors already used throughout the store. 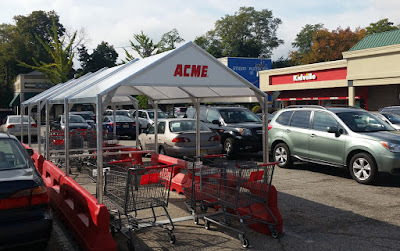 Looks like Acme is trying to revive the hot foods at this store. I don't recall seeing this case stocked so well. 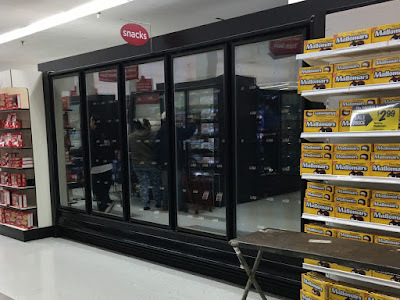 These cases used to be all white. Acme painted them and installed new bumpers. The cases actually look brand-new. 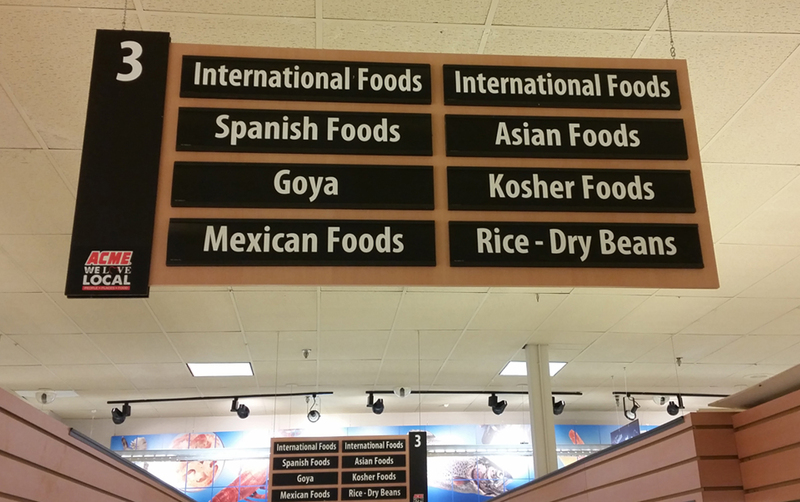 This store got off to a bit of a rough start. 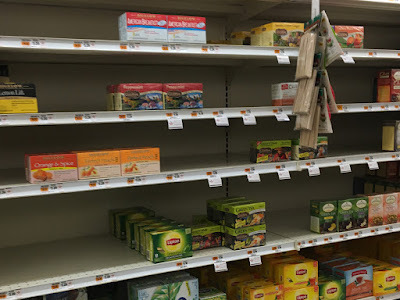 There seemed to be more items on the shelves being discontinued than not! 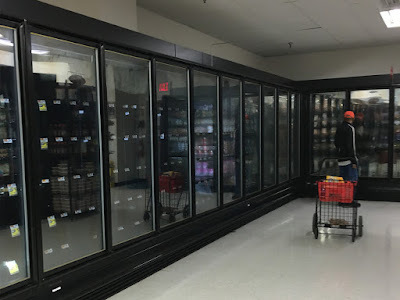 Looks like this isn't as much of a problem in more recent conversions as A&P and Pathmark aren't doing much restocking in stores that are due for conversions. The café is drawing decent crowds. 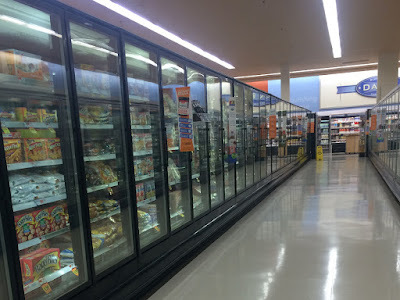 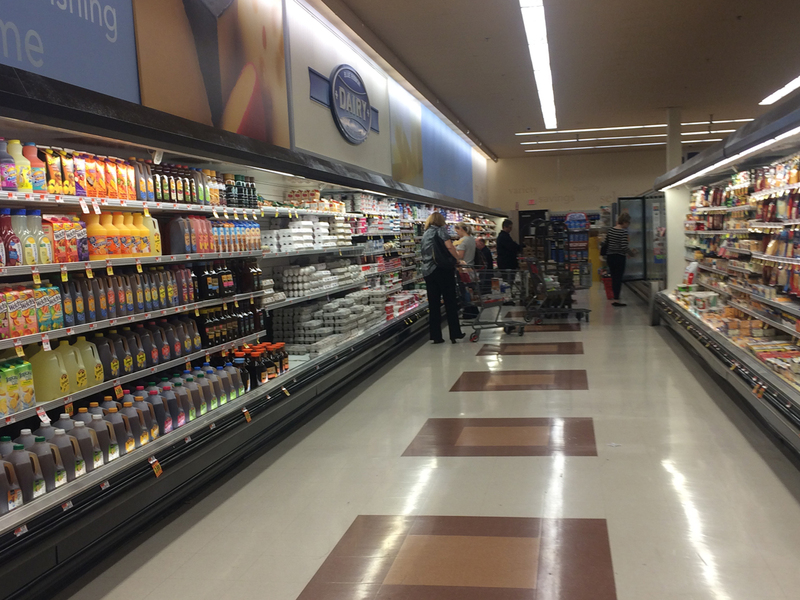 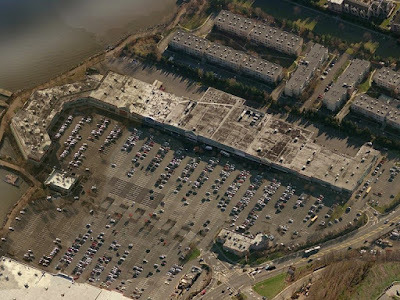 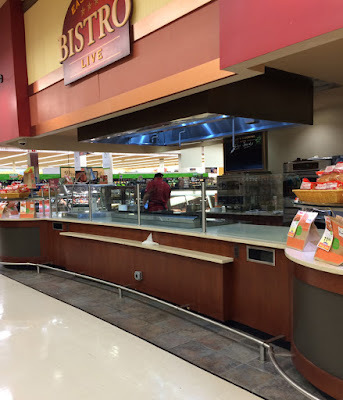 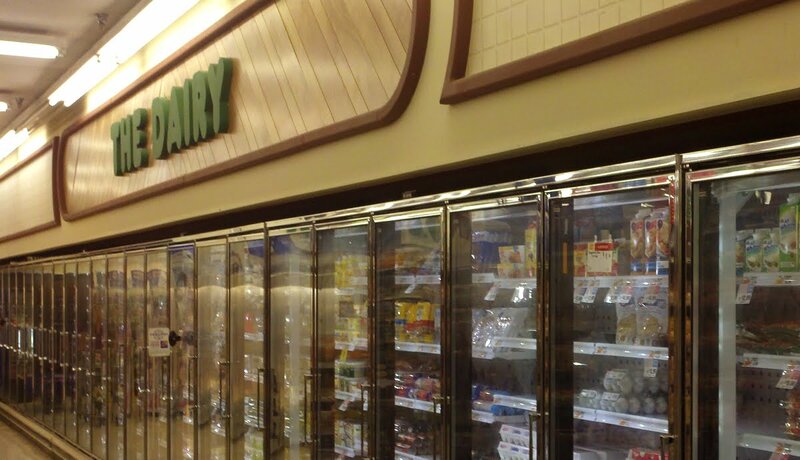 It was usually pretty dead in the Pathmark days. 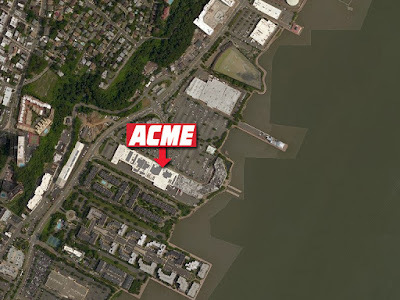 Acme unburied the Bistro! 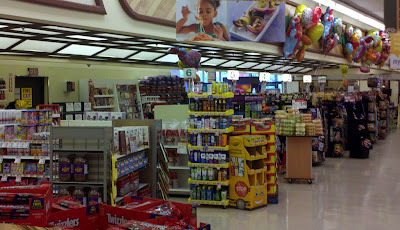 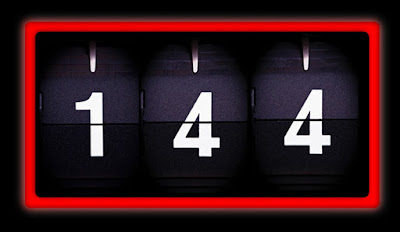 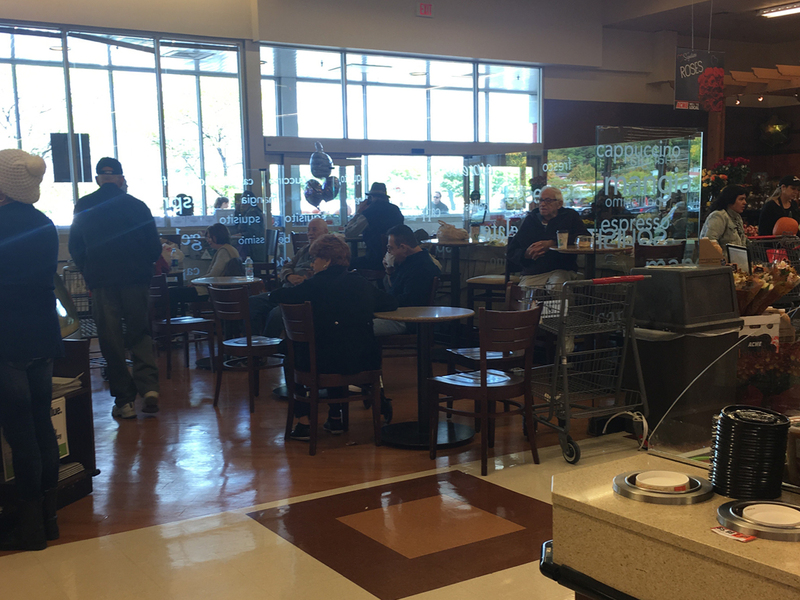 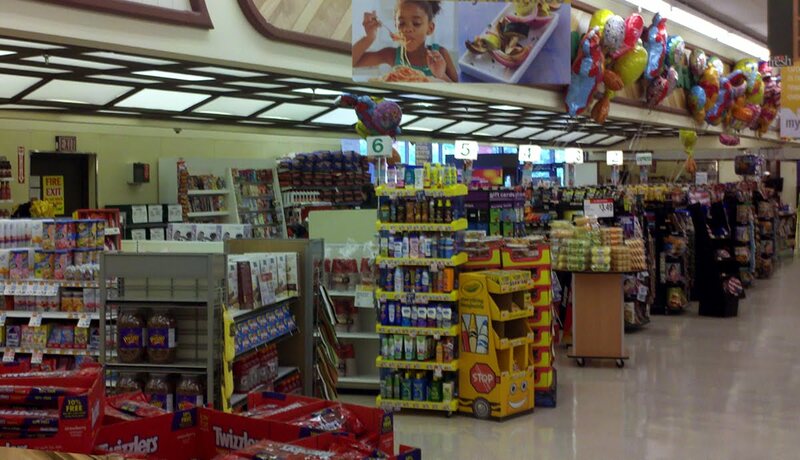 Pathmark pulled the plug on this years ago and filled the counters with random merchandise. 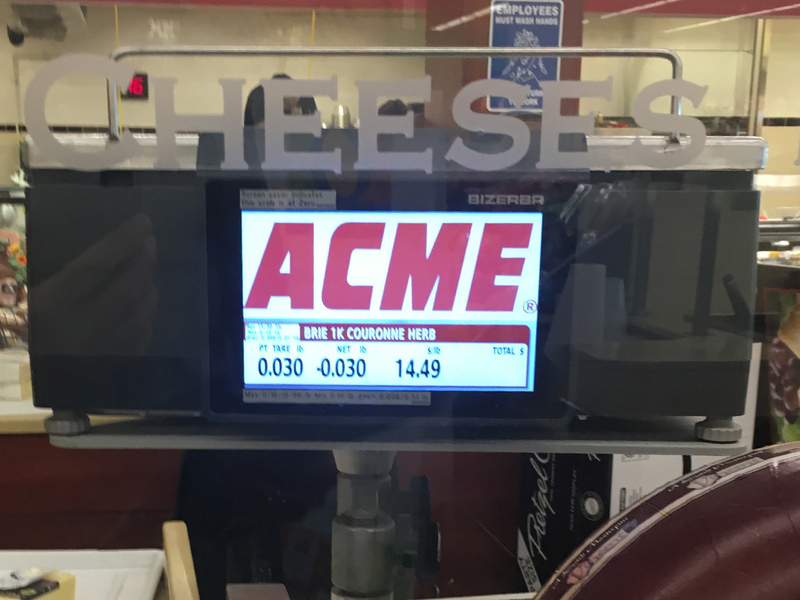 Acme's $19.99 meal deal bags are now kept on the counters. 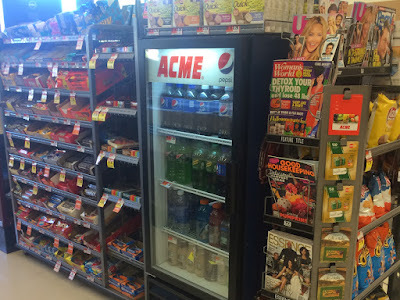 Can't remember if the soft drink cases at the front end used to say Pathmark but they now say ACME. 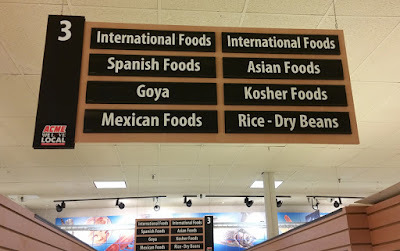 Every single on of them. Four self-checkouts gone, replaced with one express register... that isn't always open. I've heard shoppers complain about the shelf checkouts being gone as I've waited in line. 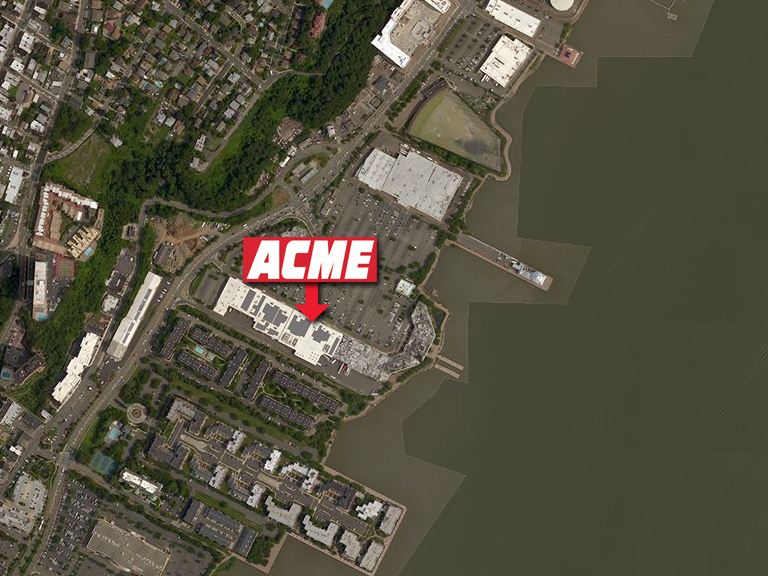 Look closely and you'll see the Acme and some neighboring stores have solar panels on their roofs. 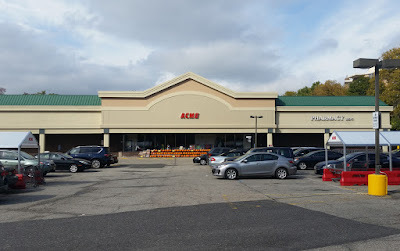 For a look at this store prior to the Acme conversion, please visit the "Future Acme Markets" post by clicking here. 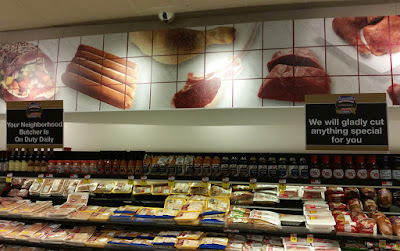 These signs are posted all along the service meat counter which has been emptied out. 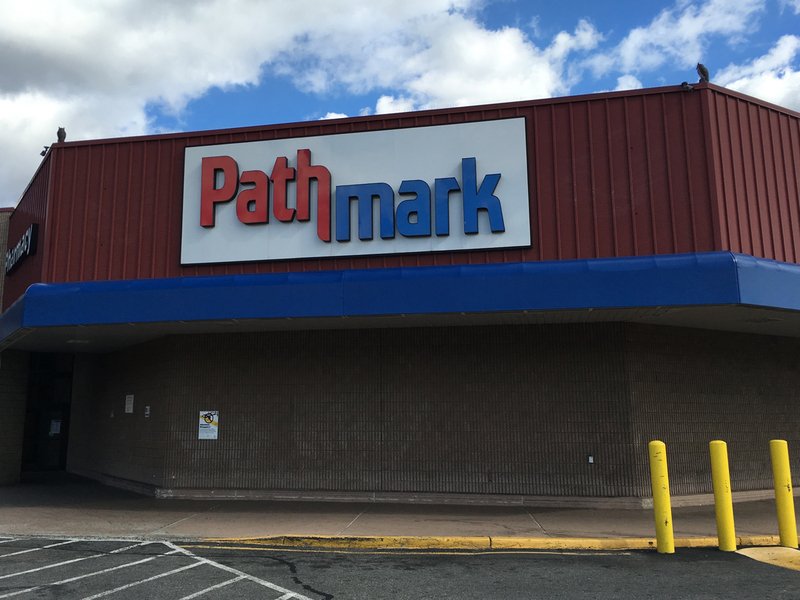 "ALL of US" seems to point out that all of Pathmark's employees are becoming Acme employees. 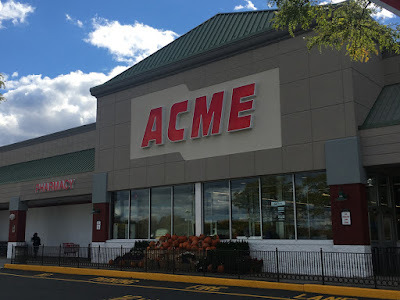 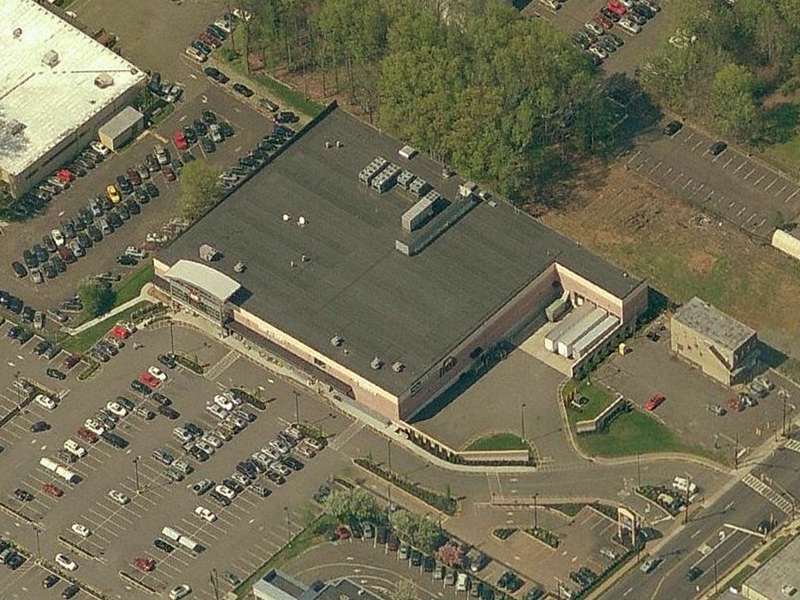 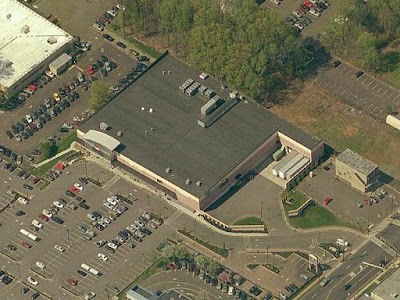 From what I can tell, the two other Acme conversions in the area have kept the entire staff of the former Pathmarks. The employees are also in a much better mood. 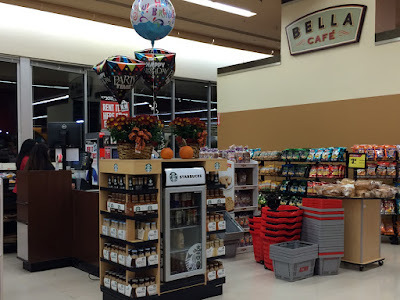 Super friendly and quick to offer assistance. 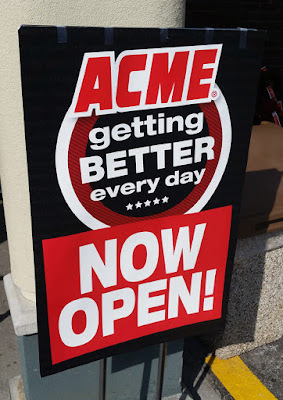 Not sure if they're just happy to be working for a more stable company or if Acme is drilling it in their heads to be more helpful. 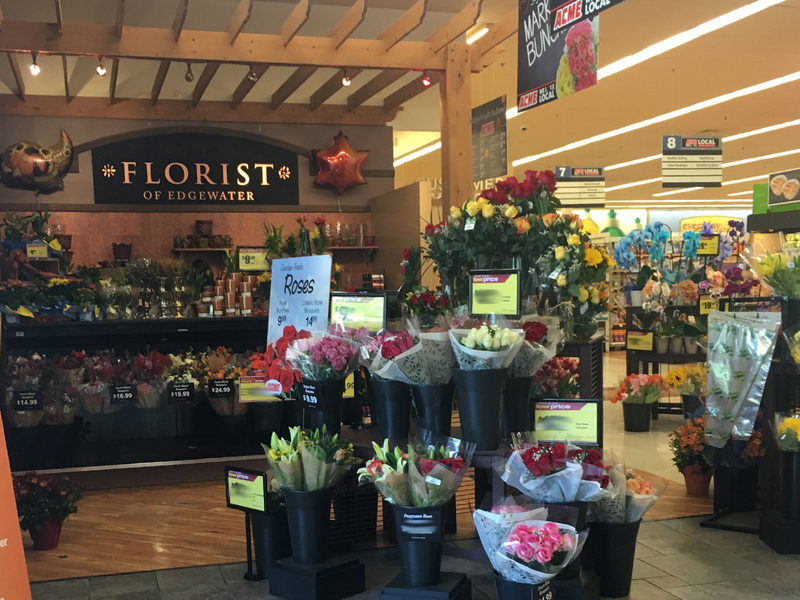 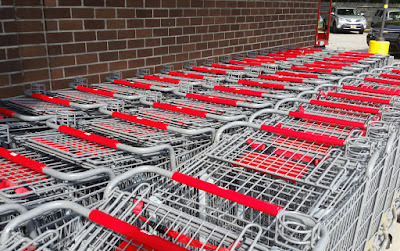 Either way, it's a huge win for shoppers, including this one! 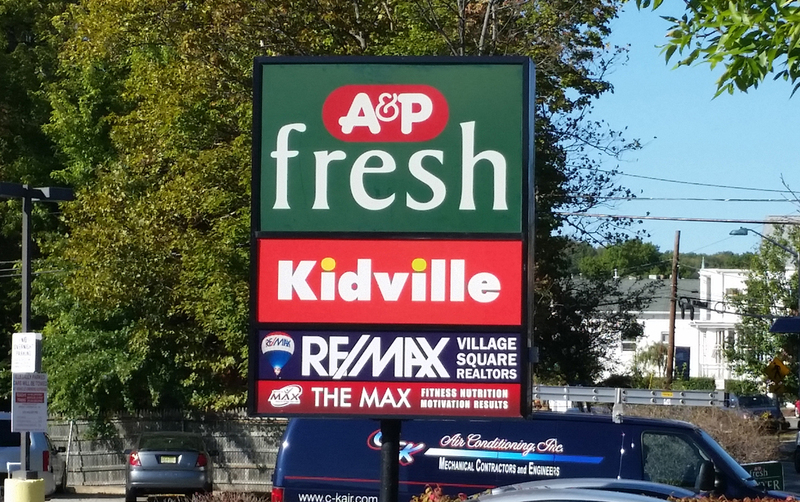 Update 10.24.15: Someone didn't like these signs. 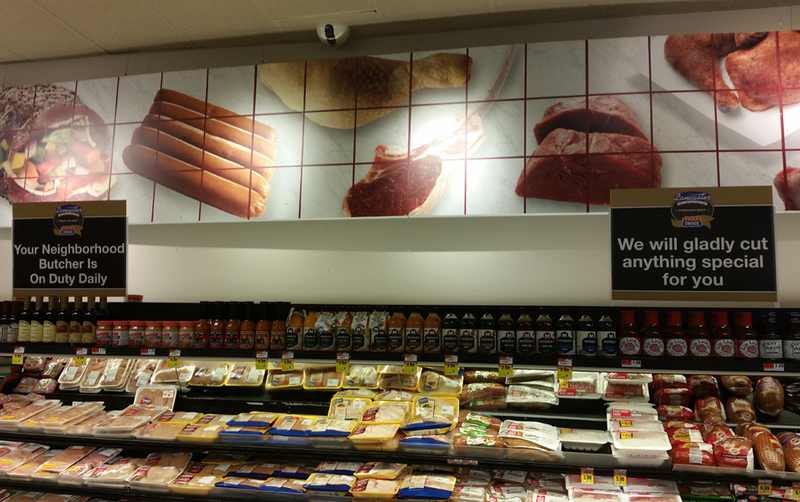 They've all be taken down. Shelves are emptying out throughout the store. 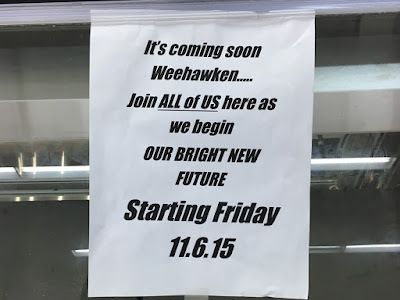 Looks like they're just giving up on frozen all together. You can view more photos of this store in the "Future Acme Markets" post by clicking here. 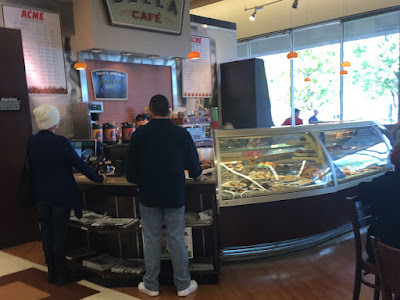 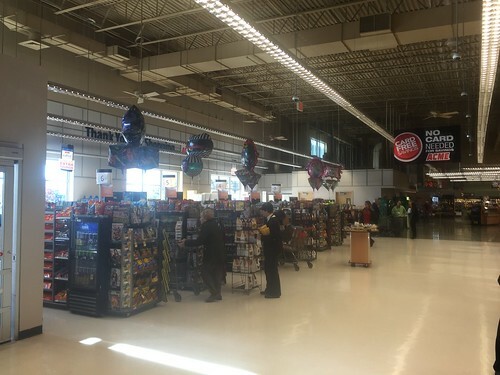 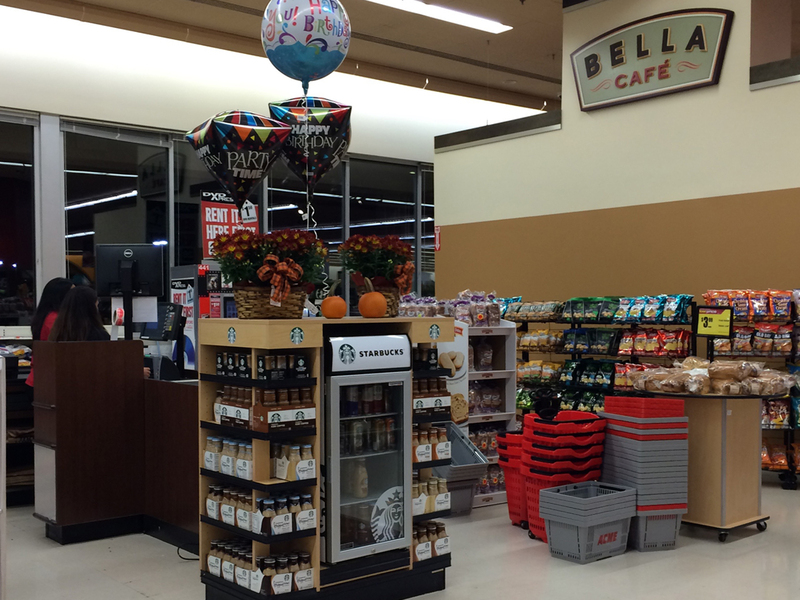 Some pictures have come in of the new Montclair store which opened on October 11. The store has the world's tiniest Acme sign, possibly due to new ordinances in the town restricting the size of store signage. 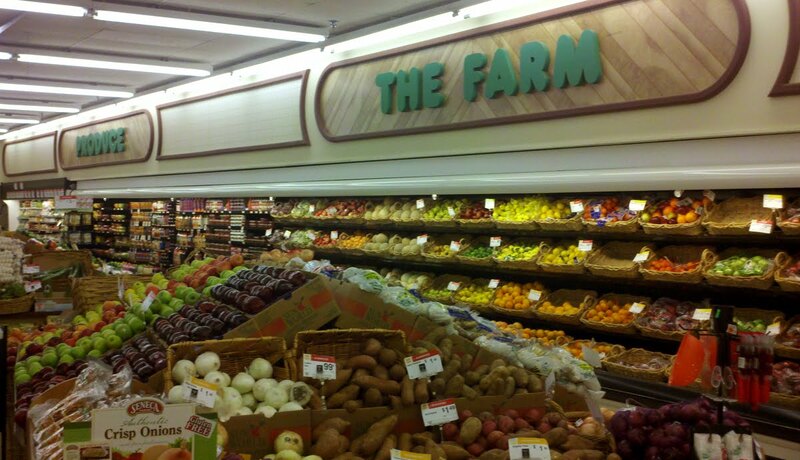 Strange though how we only see this when it comes to supermarkets. 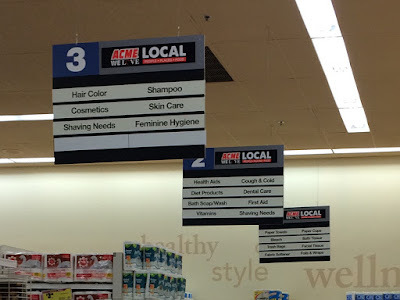 You don't see any Targets or Walmarts around with tiny signs. 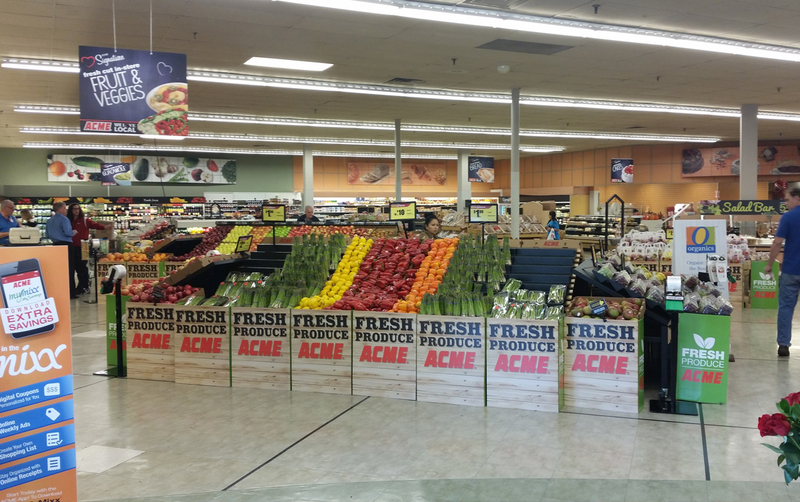 All new lighting in Produce! 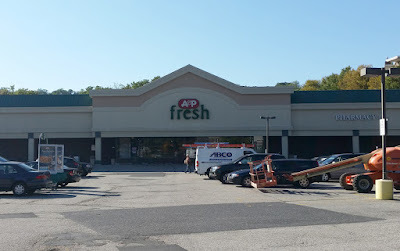 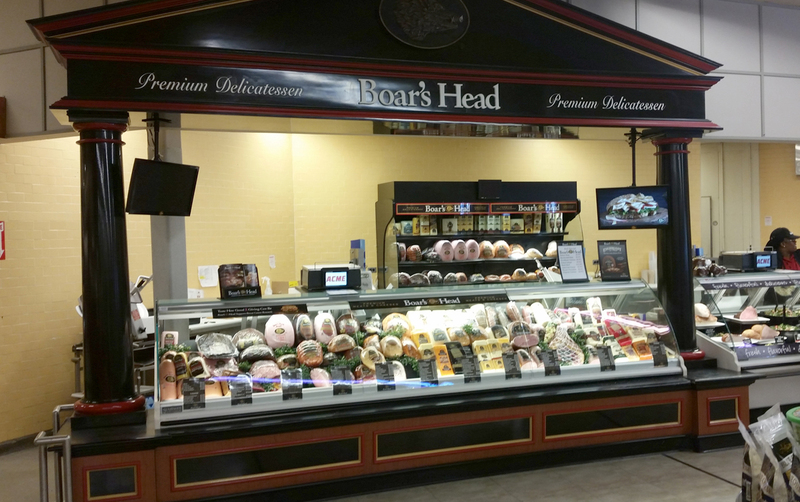 This store has the second version of the A&P fresh remodel. 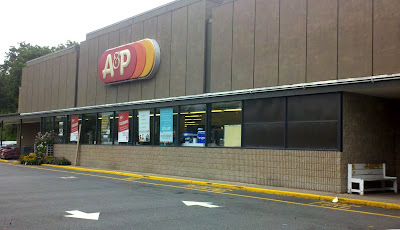 Some A&Ps have this, some do not. 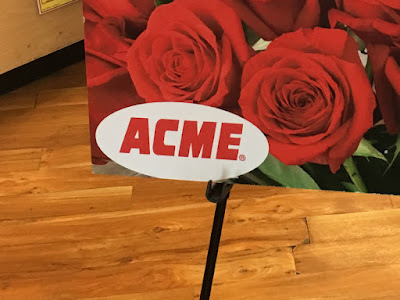 Acme seems to be keeping them for now. Whoever makes Acme's carts just got themselves a nice big order! 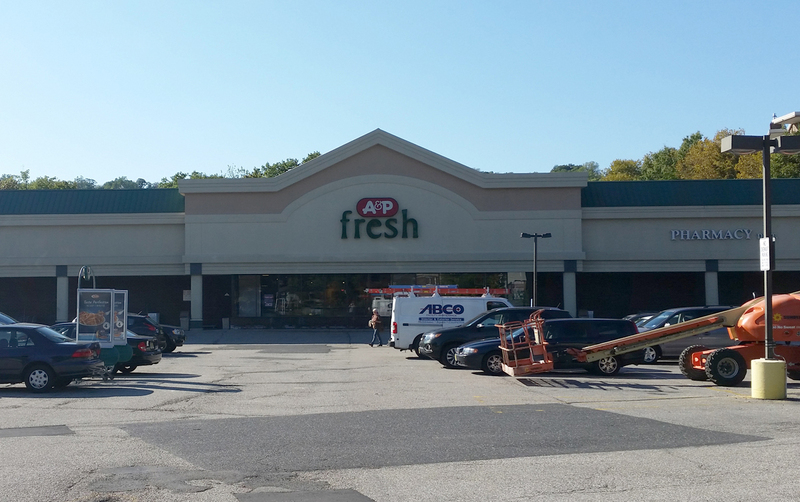 Another A&P that had evolved numerous times over the years. 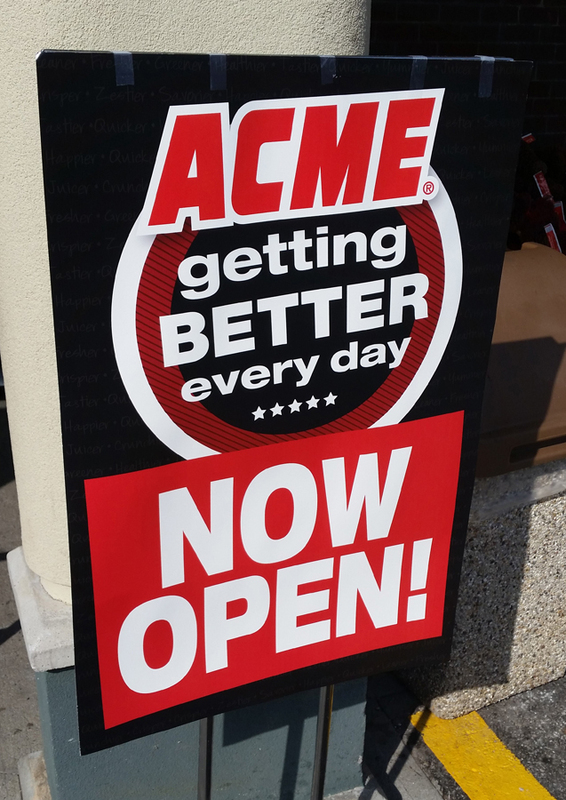 Two MORE Acmes open TOMORROW! 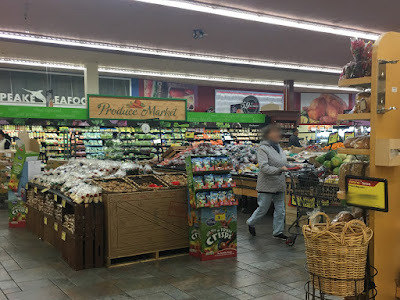 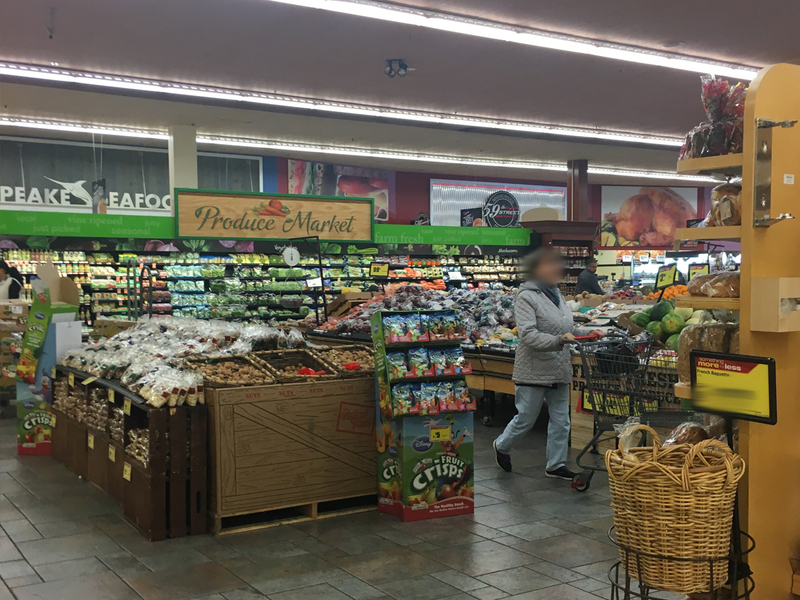 The Superfresh at 2nd & Girard is now ACME!